This is a rectangular Wayne Feeds porcelain sign. This particular Wayne Feeds sign is predominantly yellow with black and red print. 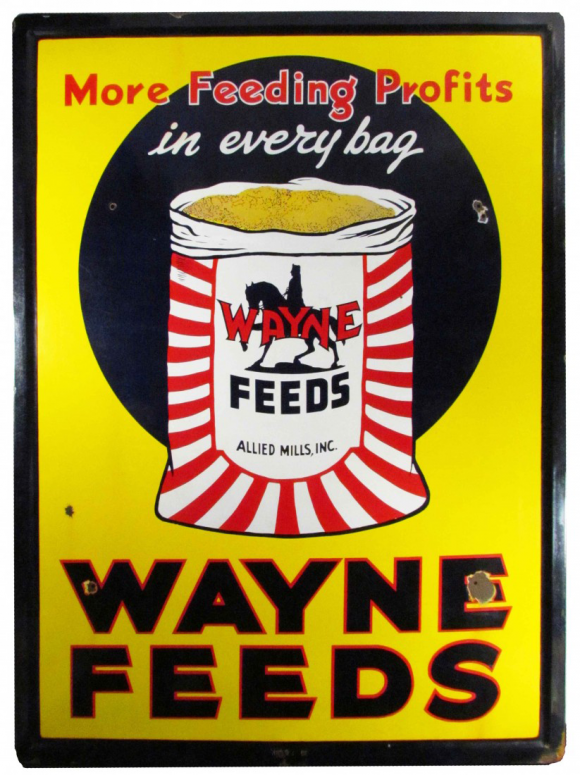 It reads, “More Feeding Profits In Every Bag, Wayne Feeds, Allied Mills, Inc.” and features a red and white Wayne Feeds bag of yellow feed against a black circle in the center of the sign.